HomeAnnual Holidays Programs Happy Thanksgiving! The Houston Rockets and ZTE Device are partnering to present their fifth straight Season of Giving. 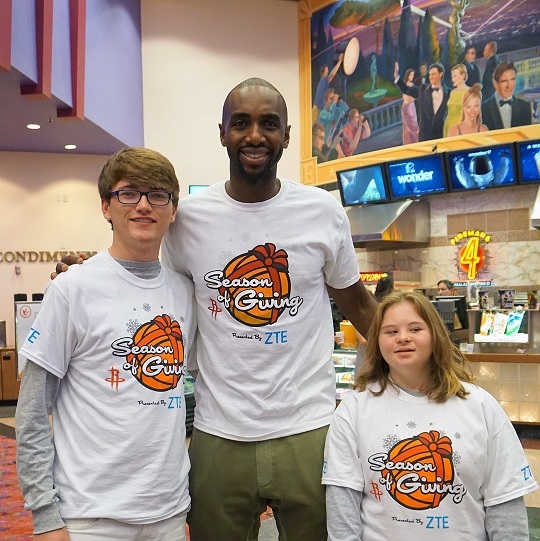 In the first of three events taking place during the holidays, the #Rockets and ZTE hosted families from three local organizations for a night at the movies, and surprised them with a bag of Thanksgiving groceries & a gift card!